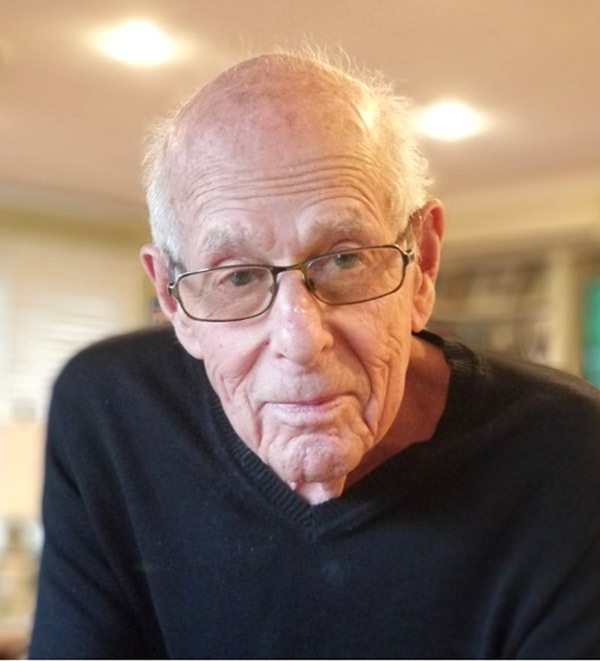 Leslie Rosen, of Swampscott, entered into rest on January 30, 2019 at the age of 89. Beloved husband of Joan Kessler and the late Lois Rosen. Devoted father of Beth Tassinari and her husband Paul, Mark Rosen and his wife Paula Estey, Steve Rosen and his wife Sandra Strauss, and Paul Rosen. Cherished grandfather of Joshua and Katie Tassinari, Aaron, Benjamin and Sam Rosen, and Ross and Robert Rosen. Treasured great-grandfather of five. The loving brother of Richard Rosen and his wife Roberta, the late Sidney Rosen, the late Lois Grossman, and the late Winnifred Moller. Dear son of the late Lewis and Augusta Rosen. Leslie will also be missed by his many nieces, nephews and cousins. Leslie was the proud co-owner of Chelsea Floor Covering. He was a talented salesman – work was his passion. He was a member of Kiwanis, Power Squadron, and a long-time member of Temple Israel in Swampscott. Leslie was an avid golfer and played at Kernwood Country Club and The Fountains Country Club in Lake Worth, Fla. He cherished his time spent with family, friends and respected colleagues. A funeral service for Leslie will be held on Friday, February 1, at 11:00 a.m., at Stanetsky-Hymanson Memorial Chapel, 10 Vinnin St., Salem, with interment at Ahavath Achim Anshe Sfard Cemetery, 89 Lake Shore Road, Lynn. In lieu of flowers, expressions of sympathy may be made in Leslie’s memory to a charity of your choice. For more information or to register in the online guestbook, visit www.stanetskyhymansonsalem.com.